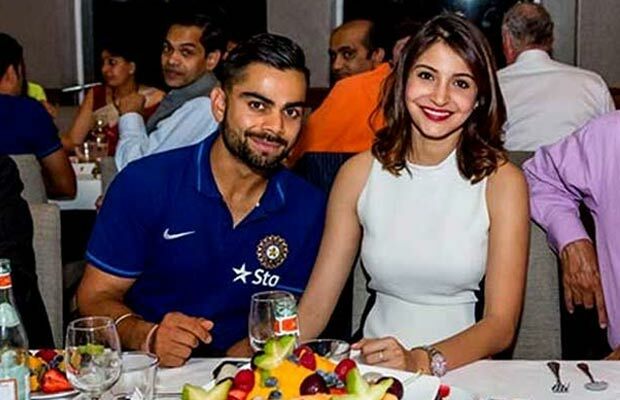 Virat Kohli and Anushka Sharma just made their relationship ‘Insta-Official’. While the world may have a clue or two about the lovebirds’ hush-hush relationship, this might just be the very first time that Virat has taken to his social networking handle to profess his love and admiration for his lady love. Sharing a cute and casual picture of himself posing with Anushka on a lush green lawn, the cricketer wrote, “Everyday is a valentine day if you want it to be. You make every day seem like one for me. The cricketer recently played the guessing game with fans when he sent out a cryptic tweet which hinted at something ‘forever’. In his tweet, he wrote, “When you’ve got something to tell the world. But you can’t yet. irat Kohli and Anushka Sharma may be just back from their New Year vacation in Uttarakhand, but the duo is making news again. In latest development, the two were spotted outside the upscale residential building, Omkar 1973 in Worli, Mumbai, where Virat owns a sprawling 5-BHK house. He bought the sky bungalow in 2015. Virat rubbished the rumours of their engagement after their holiday pics went viral in the last week of December, but their joint visit at the under-construction site hints at their future plans. The cricketer is expected to get possession of the property only after 2018. Virat Kohli and Anushka Sharma were holidaying with her family in Uttarakhand amid the countdown to the New Year. The year has been very busy and fruitful for both Virat and Anushka and this definitely calls for a quiet holiday together. In this latest picture that surfaced on the web, the couple was spotted posing with a saint in their winter gear. The two were seen arriving at the Jolly Grant airport in Dehradun and are currently soaking in the winter sun at a luxury destination spa in Narendra Nagar in Tehri. Anushka also shared a beautiful video in which she was seen feeding a peacock.